One of the biggest myths about hearing aids is that they are big and cumbersome. Although many people assume hearing aids will be large and noticeable, there are many hearing aids that are small and subtle. With technology constantly changing and updating, not many people have kept up with these shifts. The result is several prevalent myths about hearing aids. Today, Clarity Audiology would like to help you debunk these myths and learn more about hearing aids. This is simply not true, as a quarter of the people who wear hearing aids are younger than 64. Hearing loss has a wide range of environmental and genetic causes and these can affect people of all ages. Wearable technology that assists users with daily tasks is also become increasingly more mainstream, from Google glass to all sorts of Bluetooth devices. This type of technology is for everyone, young or old. One of the persistent myths about hearing aids is that they are big and bulky. However, modern hearing aids are nothing like the bulky and obvious hearing aids of the past. Just like any other accessory, they come in a wide range of colors. Depending on the make and design of the hearing aid, they may even be able to be placed completely within the ear canal so they are invisible. 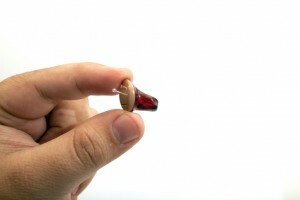 Modern hearing aids are subtle, stylish, and user friendly. While no one thinks twice about using glasses or contact lenses to aid with vision in a wide range of cases, the same cannot be said for hearing loss. Whether someone is severely visually impaired or slightly near sighted, no one questions the validity of utilizing vision correction. When it comes to hearing it is just the same. Regardless of whether your hearing loss is mild or severe, hearing aids can allow you to partake in conversations, listen to music, and perform all of your daily tasks easily. This entry was posted on Friday, May 13th, 2016 at 4:06 pm. Both comments and pings are currently closed.